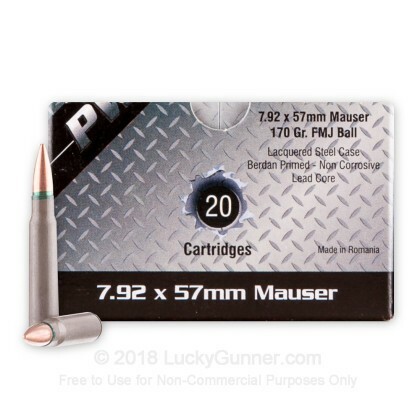 This 720 round bulk pack is a perfect way for any 8mm Mauser enthusiast to stock up on affordable ammunition! Each case comes packaged in an Eastern military-style "spam can" which contains thirty-six 20-round boxes for convenient range use. These rounds are imported by PW Arms and sourced from Romania. Each round is built using a non-reloadable steel casing which bears moisture-repelling sealant at both its neck and primer pocket. The combined efforts of the sealant and a light lacquer coat keep the rounds safe from corrosion while in storage. Each case is fitted with a clean-igniting Berdan primer and a full metal jacket (FMJ) projectile. The FMJ weighs in at 170 grains . 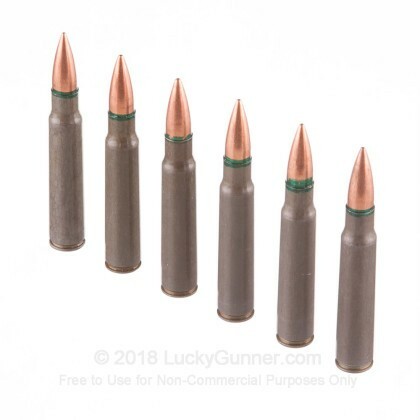 We don't have any reviews yet for this particular 8mm Mauser (8x57mm JS) ammo from PW Arms. 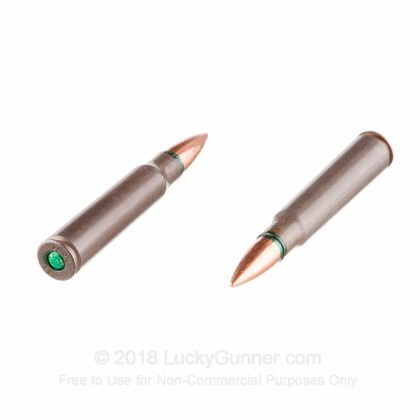 If you'd like to be the first to review this particular 8mm Mauser (8x57mm JS) ammo from PW Arms, fill out the form below. Q: Will this ammo function properly in a fn 49? A: Hello Joel, This ammunition is .323 diameter. The only way to determine with complete accuracy if it will work in your rifle is to have your rifle bore measured by a gunsmith. A: Hello Vincent, This is .323 diameter ammunition. A: Hello Andy, This ammunition is new manufacture and does not contain any corrosive components. A: Hello Marcus, PW Arms lists the muzzle velocity at 2360 fps and the muzzle energy for this round at 2100 ft. lbs. Q: I know this is steel case, but does the BULLET attract a magnet? e.g. Does the bullet have a bi-metal jacket? 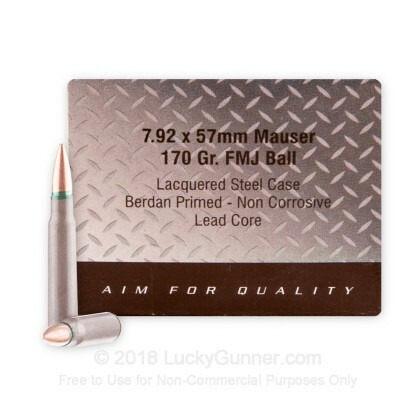 I'm wanting to use this on an indoor range with a steel plate trap and the bullet cannot attract a magnet. Thanks! 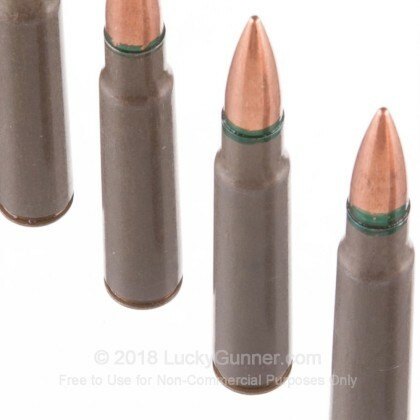 A: Hello Jack, While this specific round is loaded with a complete lead core, it is jacketed with a bi-metal jacket and as a result, will not pass any type of magnet test required for use in indoor ranges.